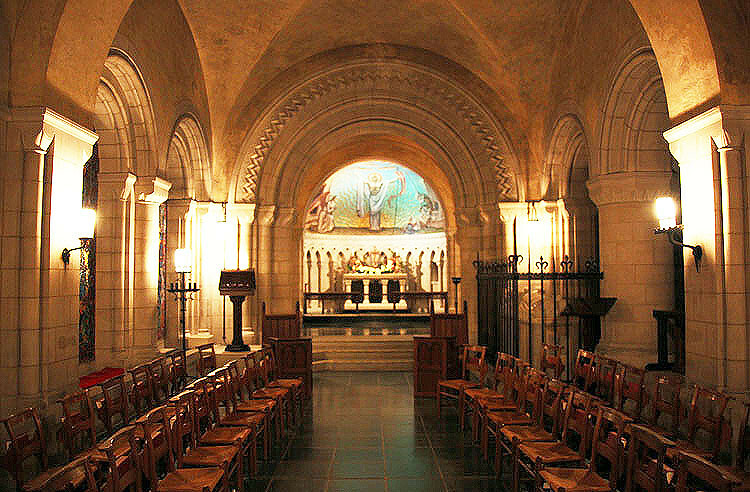 הקתדרלה הלאומית של וושינגטון (באנגלית: Washington National Cathedral), או בשמה הרשמי הקתדרלה של סנט פיטר וסנט פול (Cathedral Church of Saint Peter and Saint Paul) היא קתדרלה הנחשבת לבית התפילה הלאומי של ארצות הברית. הקתדרלה נמצאת בעיר וושינגטון די סי. הקתדרלה היא מקום מושבה של הכנסייה האפיסקופלית של מחוז קולומביה. זוהי הקתדרלה השישית בגודלה בעולם. It's called Our Nation's Cathedral but it's primarily an Episcopalian Church. It's built in old World style and I think they're still working on it or maybe more so because of the earthquake that did some damage to it a couple years ago. We were there to be the choir in residence to sing Evensong service. Doing so was the seventh out of eight cathedrals that we have sung Evensong in, this does not include the 7 or so local churches that we've sung this service in. Singing there is an awesome experience. The tone was warm and rich and it was a delight to worship there.if you are visiting our nation's capital it is definitely a place that you want to stop and see. And if you're there during one of their services I hope you would consider staying for that service.